Since that most wonderful time of the year is approaching, I thought I'd get together a blog full of crafty ideas and inspiration that will help you make it through, with a smile. I make a lot of digital, hybrid and hand made goodies as gifts. I thought I'd share some of those with you so you can amp up your arsenal of ideas for this holiday season. These all come from previous blogs so you can simply click on the images and get to those blogs to see more relative information or even get step by step tutorials and coordinating free stuff. 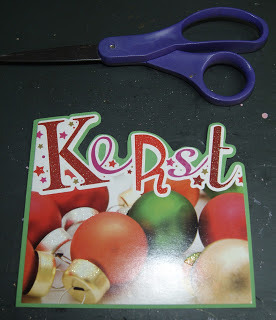 We started making cards to send out a few months. I'll share a few of those with you here. 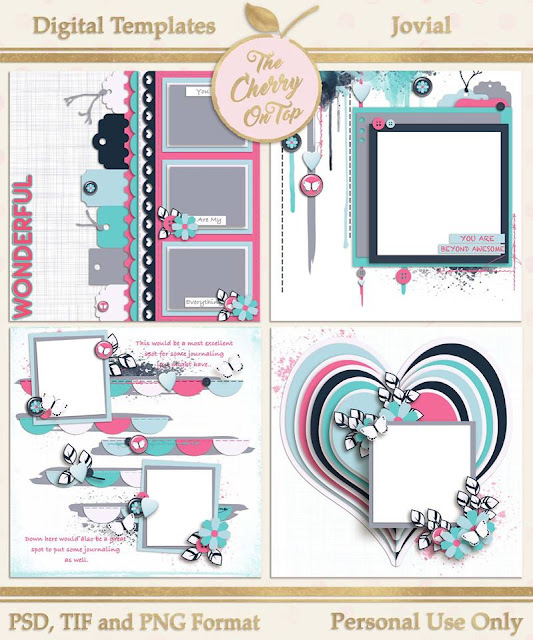 You can use nearly all of your cards for scrapbooking. Even if it's just for the rigidity of a well made card. I often just paper over a card that is very rigid or with a unique kind of format. 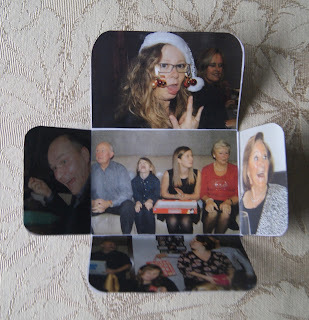 Cut out the part of the card that works for you and get creative crafty! Try to keep those colours coordinating for a less busy, clustered finish. 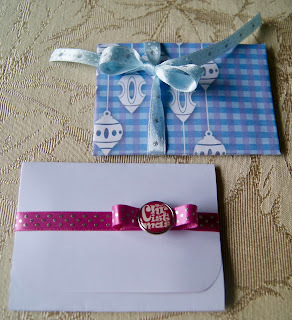 I used this really pretty card for the cover of an album I gave as a gift. Easy, right? Look carefully at all of those inserts. 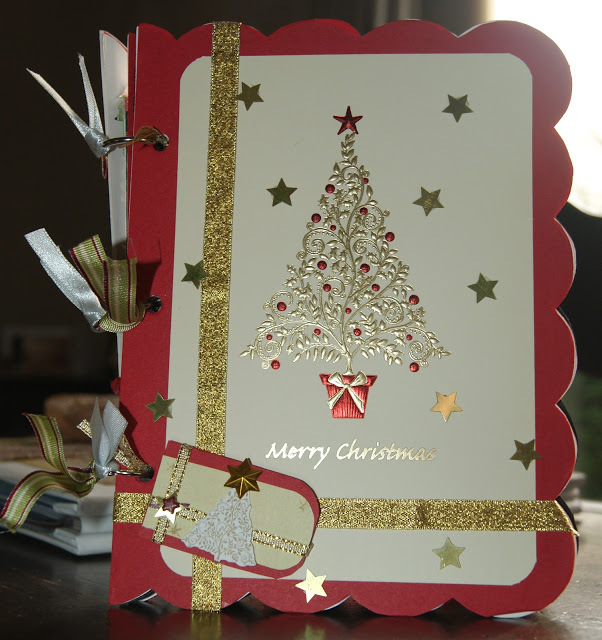 Even those pretty, gold metallic strips are from cards and they match perfectly with my gift. All I had to do was add a touch more gold around and these pages were finished. 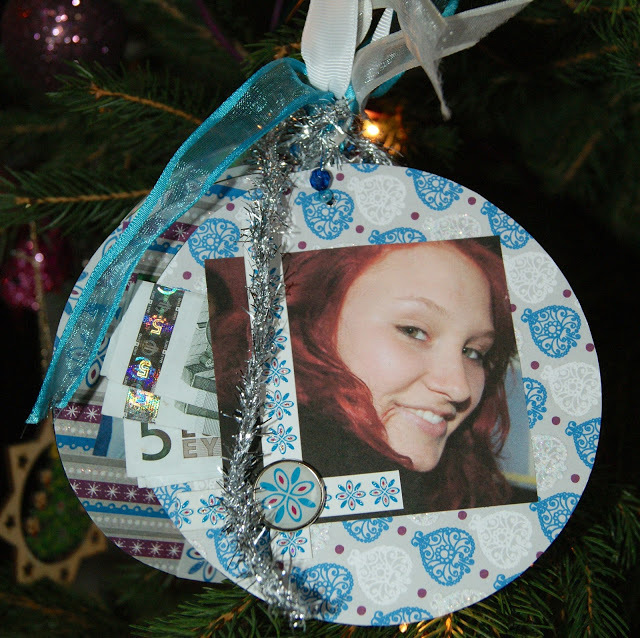 The above ornament is not just an ornament with a picture. It's a mini album and ya see the money coming out of the sides? The picture served as a page cover and a pocket. These are upcycled CD's. There is a step by step tutorial for this one. Click here or on the image. 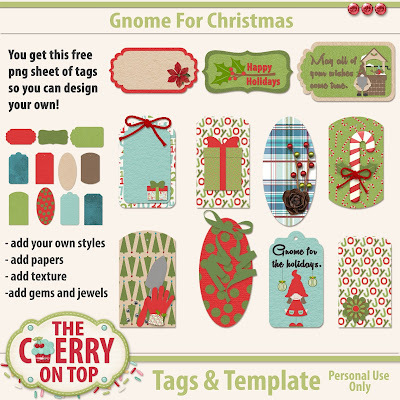 Just last week I showed off several different ways to use our free folding mini template. I've got a video and step by step for them. They can be made in minutes and use a minimal amount of supplies. Great when you are caught up in the rush. I hope we could help you out this holiday season. Thanks for stopping by and happy crafting! We've got another jam packed blog full of scrapbooking goodies in the way of new goods in the shop, inspiration and a new hybrid project. Keep reading and get your creative groove going this weekend with The Cherry. Yesterday's blog is FULL of fabulous inspiration and all of our new goodies. If ya want to check it out, click here. In the mean time, see more layouts with our new templates, Very Merry and 'Tis The Season as well as the new collection, Gnome For Christmas. 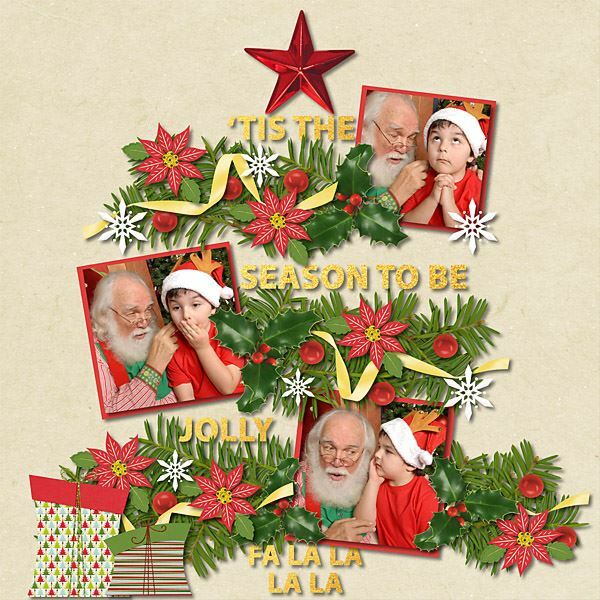 Use our trees and gifts pack to make a page like this. Coupled with our templates, your pages will be ready in a flash. If you use our coupon code CHERRY50, you can add it at a great price, too. 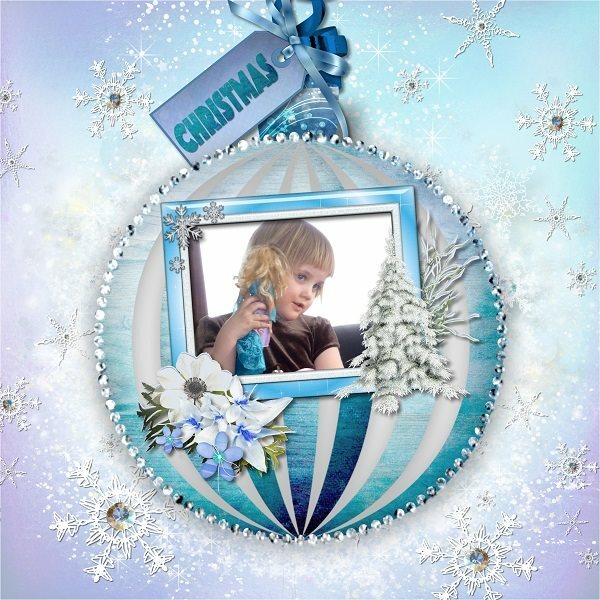 I used the new template, Very Merry to scrap up LouCee Creations new kit, Home For Christmas. We must be on the same wave length! Hehehe...Of course I went with the play on words. How pretty! Another lovely page from Team Member Rachelle. Rachelle also scrapped up this adorable page. I love that sewn look on the tree. 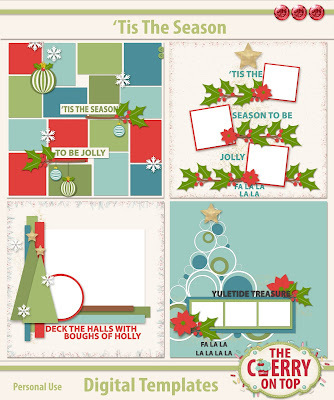 Theresa got super scrappy with the templates and new collection. 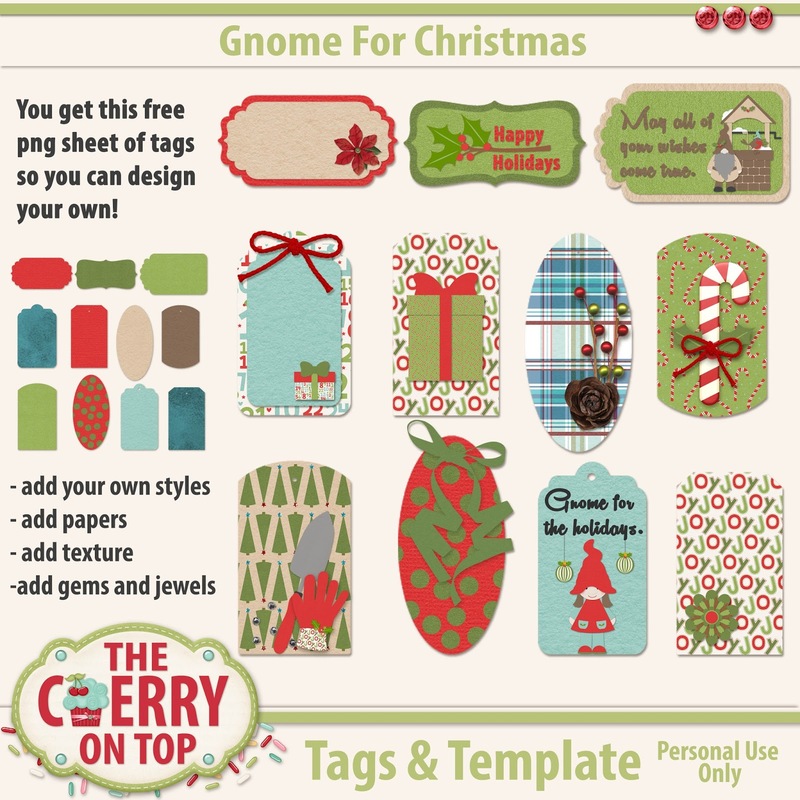 Here's our other new pack of templates. Here's a few pages I made with the new collection. There is a very pretty pack of four stamps sold separately. Check them all out and see which ones are right for you. 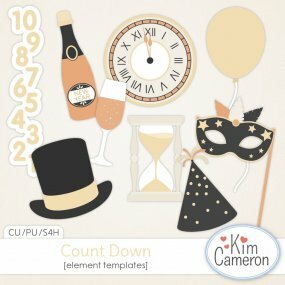 If you like designing little scenes, like I do, you are going to love our whimsical set of embellishments that comes with pack of elements. 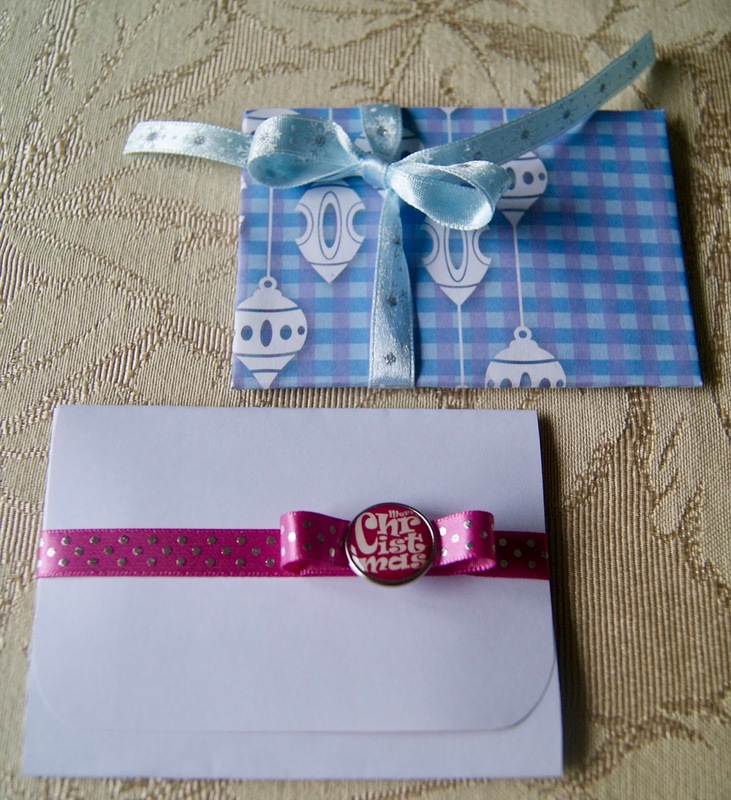 Think of the cute cards you can make either digitally or traditionally. 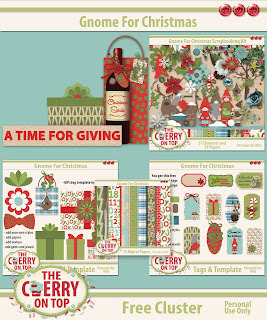 Use our coupon code CHERRY50 on all of the new and old products in the shop. You can use our coupon code on last year's kit, too! 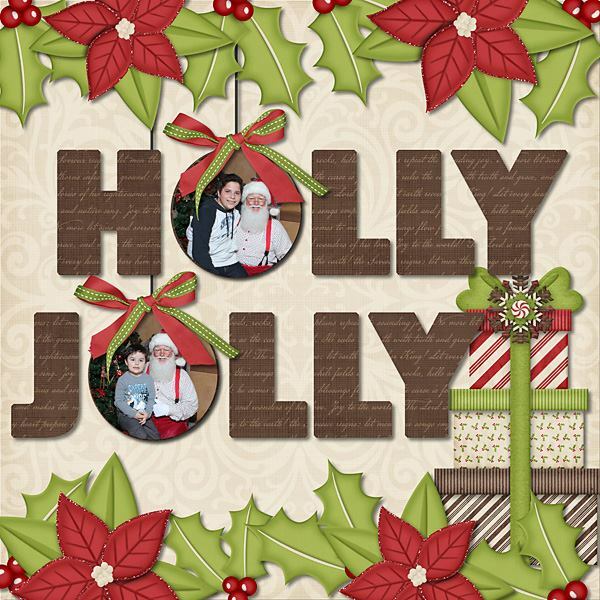 Rachelle and Chris made lovely pages with Sleigh Bells ring and our new templates. I do love these sassy pink and black papers in Oh, Snap! That's me with the wish that landed on my Champagne glass. hehehe... Dreams really do come true! Ha! My phone does not have apps that I'm aware of. It even has buttons and for months I haven't even been able to send out messages. Hehehe...So I begged the hubs to add an APP to his phone where I could use these fun animal faces to go with this great kit. I bet your kids will love it! I used Dana's collection to make this mini album/gift card/money holder for my niece's present this year for Christmas. 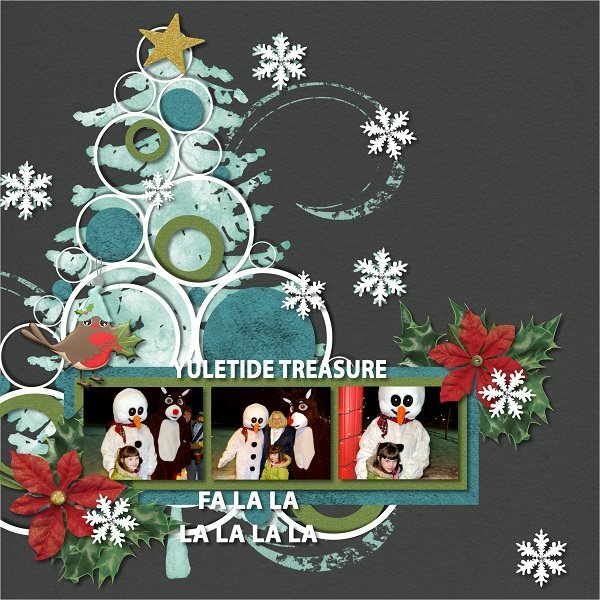 Use our free template and video tutorials to find out how to do this. I made my other niece a traditional version of the same project to show ya that you can totally do this traditionally with a nice result. 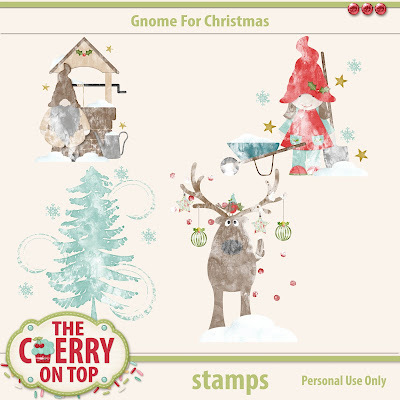 Click here to see the step by step and to get the link for the free template so you can customise one for your special recipient. You can choose to print out your template with the photos or without and if you can print on design or colored paper, you're project will go together even faster still. This is the finished projects. I added some snazzy ribbon and a big, fun brad for an extra touch and to pimp up that plain paper. 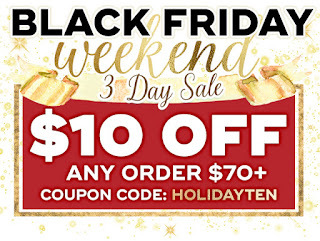 If you're looking for traditional scrapbooking deals, then by all means check these out. My carts are getting full. Graphic45, BoBunny...total droolville! 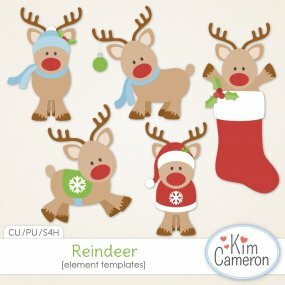 Kim Cameron also has several deals going on this weekend as well as new goodies. Keep reading to see what I did with the new kits. This is called Fries with That and it's only $2 at Daisies and Dimples. I love the colours Kim chooses for her kits. Open Road certainly meets all of my colour expectations. Bright and lively colours make a super contrast with black and I do love that black, tire track background paper. This kit is also just $2! She's got both of these in a beautiful painted design, too. Did you grab the freebie from yesterday? Wow! It has been one heck of a weekend, right?! I hope you could relax and enjoy all of this scrappy goodness as well as pimp up your scrap stash with our products and products from our friends. Let's see some of the projects you've made with all of your new stash. Share them in our group. We'd love to see them. 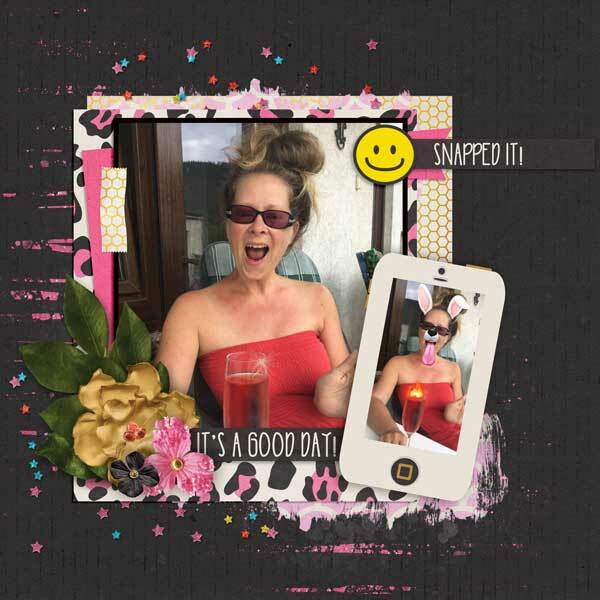 It's going to be one of those blogs, where you should take a deep breath, sit back with something delicious to sip on and enjoy all of this fabulous scrapbooking inspiration. We've been saving up new products for this weekend so we could offer them to you with a 50% coupon. 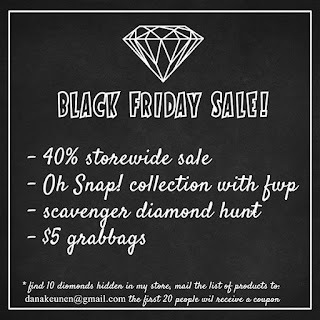 I'll show ya the new goods, provide you with beautiful pages from me and my awesome team as well as show off new goodies from around DigiLand and of course, it is freebie Friday! Get your mojo fix, right here at The Cherry. 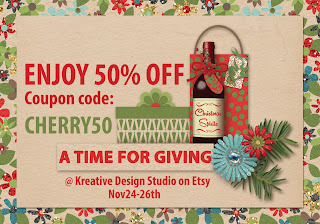 Grab that coupon code and save big time in the Kreative Design Studio at Etsy. We've got a lot of new, festive goodies in the shop for you. I can't even begin to choose which one I like best. 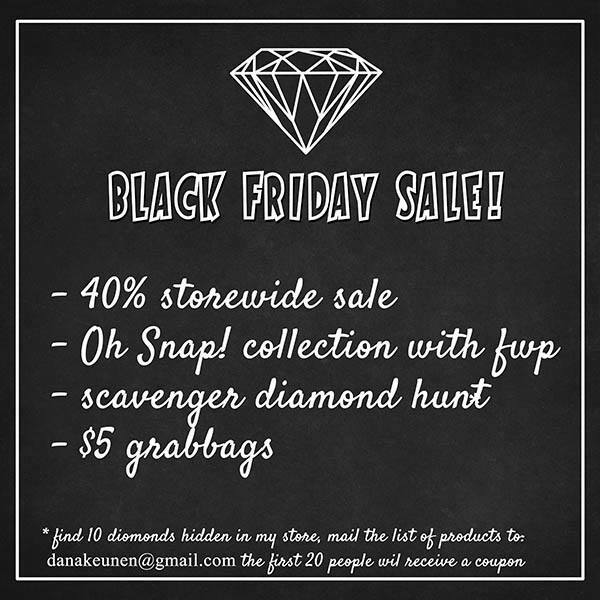 Let's just jump right in there so you can get scrapping with our new goodies this weekend! Gnome For The Holidays is so huge, we had to break it up into fantastic, more customised packs to get it in our shop, Kreative Design Studio. Above you can see all 57 elements from the embellishment pack. There are a lot more other elements in other packs. 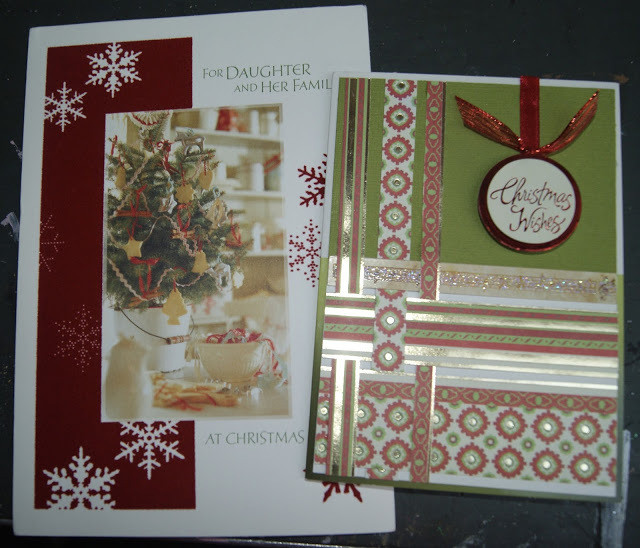 The papers are sold separately.Keep reading to see the other fabulous goodies. You get nearly 20 papers in the paper pack. 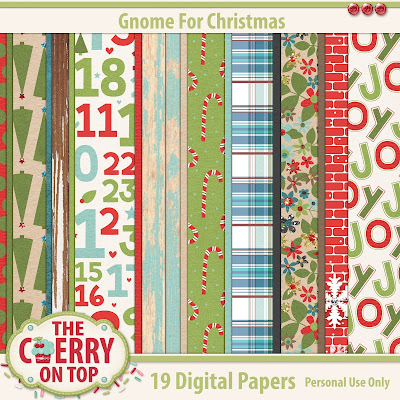 10 festive design papers and 9 solid textured papers to scrap up terrific layouts or to design your very own Christmas goodies for cards or any other crafty project on your to do list. Don'cha just love these stamps? I love using stamps on my pages. So, it was essential that I included them in our collection. 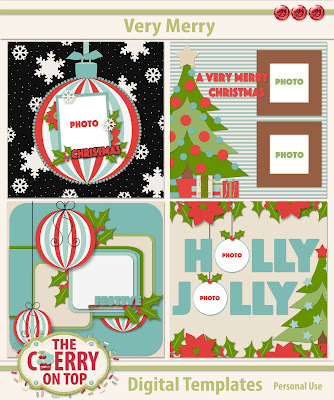 I designed these four, festive stamps to help anchor your pages to their backgrounds, give a soft touch as well as an artsy feel to your creations. 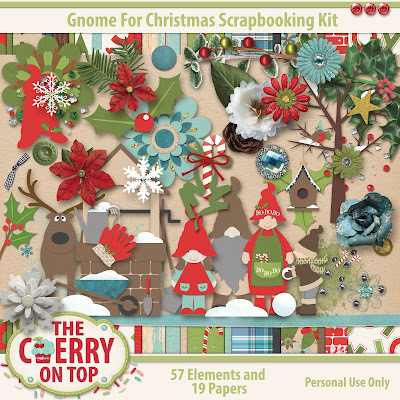 Get my favourite pack and get crafty. If I HAD to choose a favourite pack, it might be the gift pack. We've got you hooked up with SEVEN pre made gifts including that adorable gift bag and my all time favourite gift, a bottle of wine. Hehehe...I'm totally using this idea for guest gifts for this year's Christmas party. 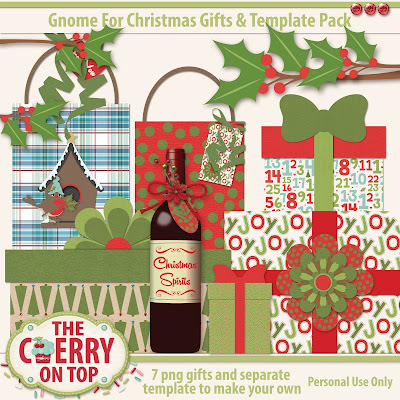 This gifts pack also includes templates in png, psd and tif format so you can design your own gifts for any occasion. How cool is that?! 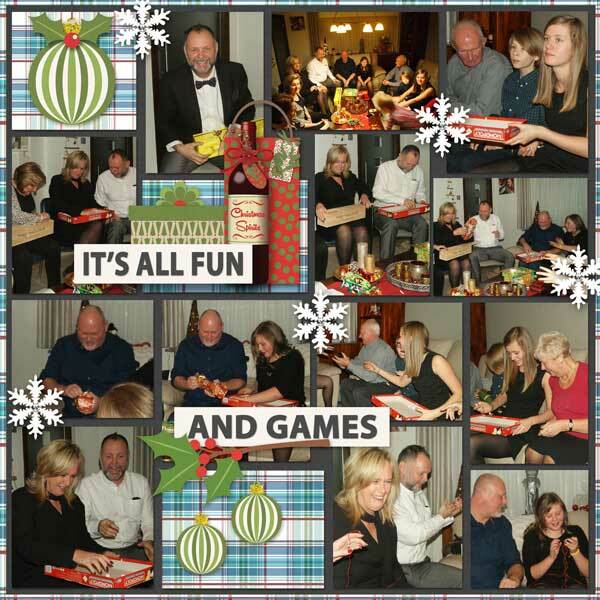 You'll get the box shapes, the bag shapes and the ribbons and bows. Be sure to read the descriptions carefully so you understand exactly what you get in the packs. 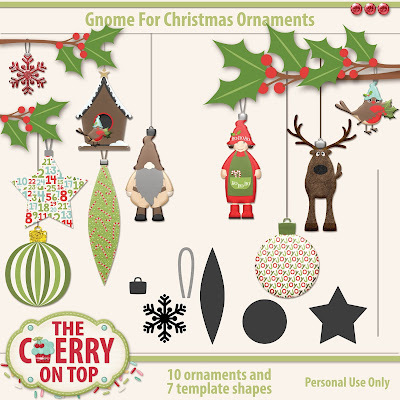 Enjoy these lovely whimsical ornaments already made or design your own ornaments with our templates provided right in the same pack. You get two packs in one! Don't forget these trees. They are the bee's knees. I wanted to provide you with totally different kinds of trees. I'm sure you already have a lot of typical trees in your stash. Now, you can add these different, modern and fun trees to your repertoire. 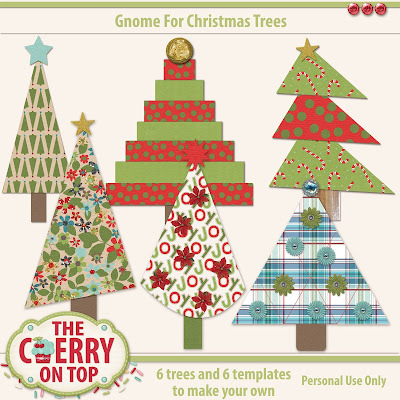 Again, you'll receive 6 pre made trees in png format as well as six different templates, layered and shadowed for your convenience so you can design trees to go with any scrapbooking kit in your stash. Another favourite pack of mine are these tags. I really love tags. You can use them everywhere! 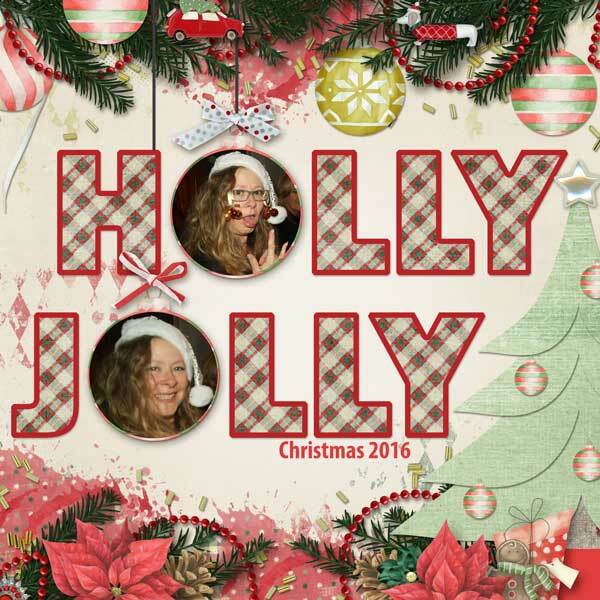 These can be used on gifts both digital or traditionally manipulated. Tags look great on their own, on cards, on pages, in agendas and planners...No matter your style, tags are a super embellishment. Just look how cute these are. There are 11 totally different tags that are already made for you in png format on one sheet. We've also provided a sheet of blank tags on a separate sheet that you can simply print out and use directly or use as a template to trace around if you don't have a cutting machine. 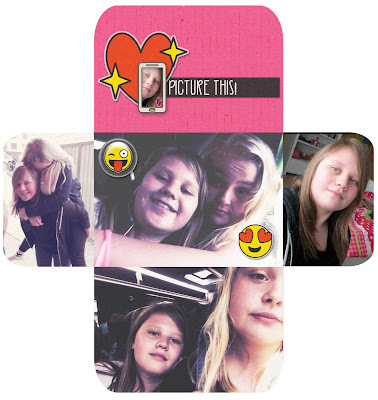 Customise your tags with our templates. Most of the packs are under 2 Euros with your discount coupon! We'll be showing off hybrid ideas with the new goodies on our Saturday spot. Make sure you come back for that. There may be freebies involved. Let's check out what the ladies and I have been making with the new goods including the TWO new packs of templates. Man! I love these templates! Hehehe...I played with all, but one and can't wait to play with that one, too. The Creative Team did their magic with them. Check it out. I know you'll be impressed. Tammy has so much talent. I can totally learn from her. 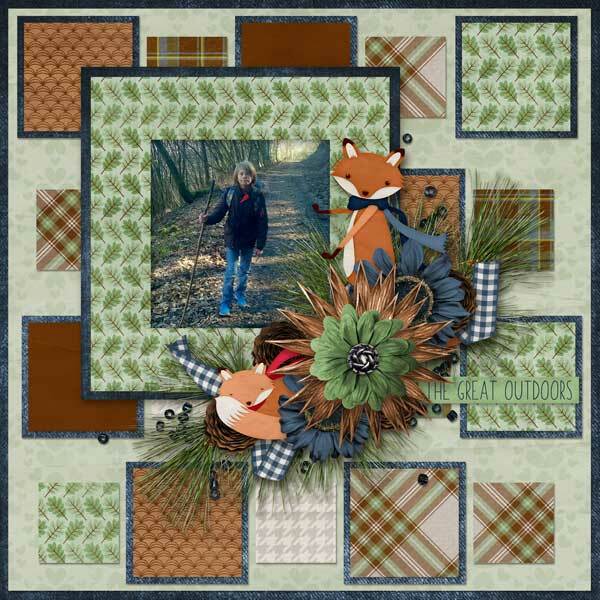 What a lovely page with a really, really cool, new kit from WendyP Designs. If you're looking for a not so traditional winter/Christmas kit this might be just what you need. 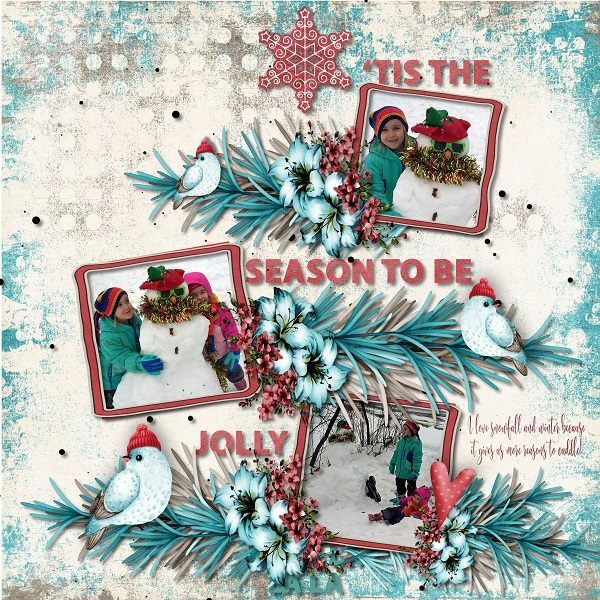 Theresa used the new kit and the new Very Merry templates for her lovely page. 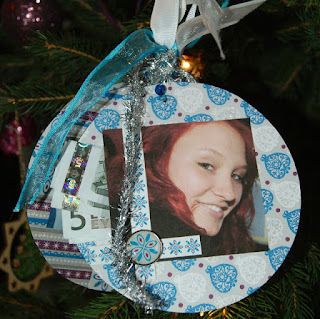 I love the way she decorated the tree with our ornaments and gifts pack. Rachelle went to town with all of the Christmas goodies, both old and new. This is the template I'm yet to work with, but I've got plenty of kits to pay with. 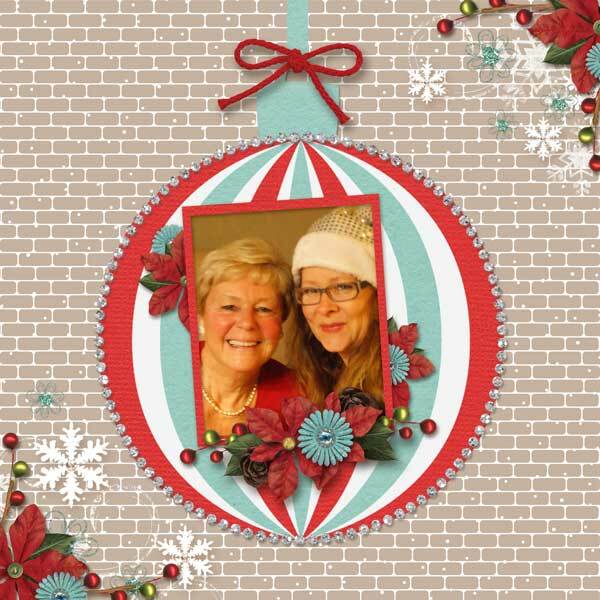 The ornaments are meant to be replaced with your own for this particular template and Rachelle did just that with these beauties from a different kit. Michal makes such beautiful pages, doesn't she? 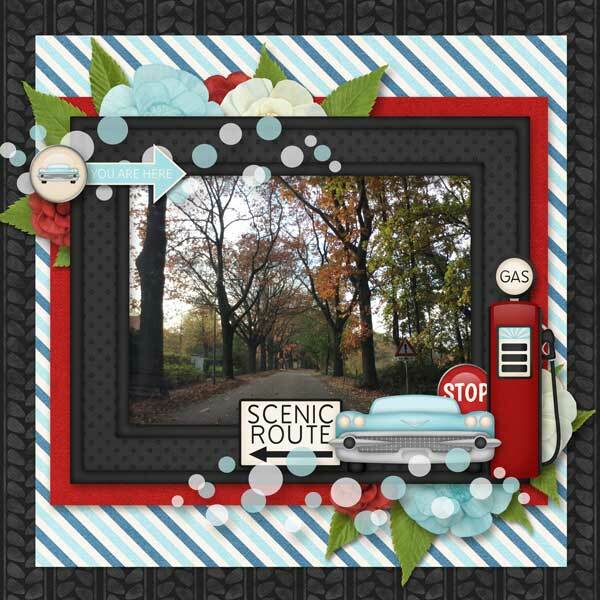 I really love the more subtle tree in the background and those frames are just fab, too. 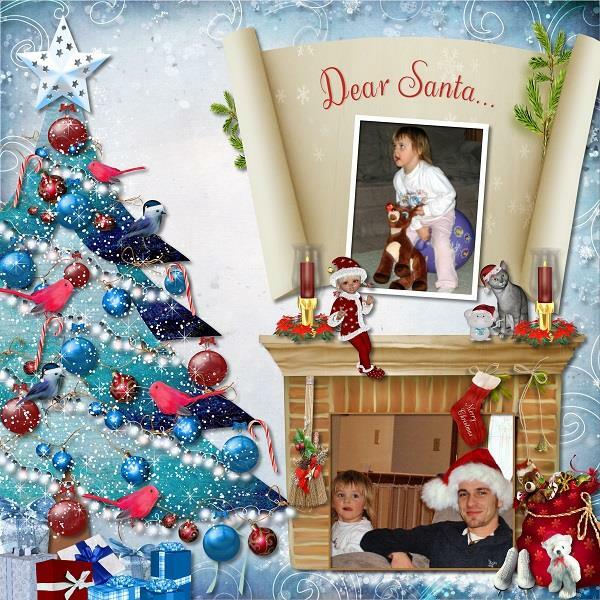 This template is really great for showing off your all time favourite Christmas kit. Laureen is just a star Creative Team member. 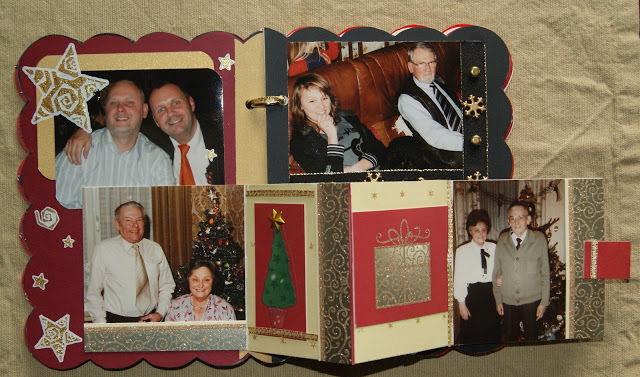 She plays with all of the templates and does an extraordinary job on her beautiful pages. 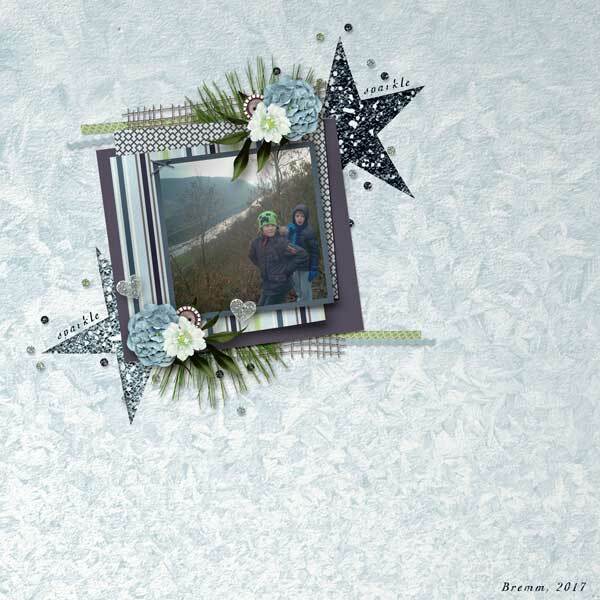 This is another one of Laureen's pages using one of my favourite designers, BoomersGirl. What an amazingly bright and fun page! Yip! That's another lovely one from Laureen. Those colours are awesome and those snowflakes!? Wow! I've got TWO packs of new templates for you, today. If you take a lot of pics at this time of year, you are going to need a lot of templates. This set of templates allows for multiple photos so you can get more pictures scrapped. Once again, it's so hard to choose a favourite. I love them all for different reasons. 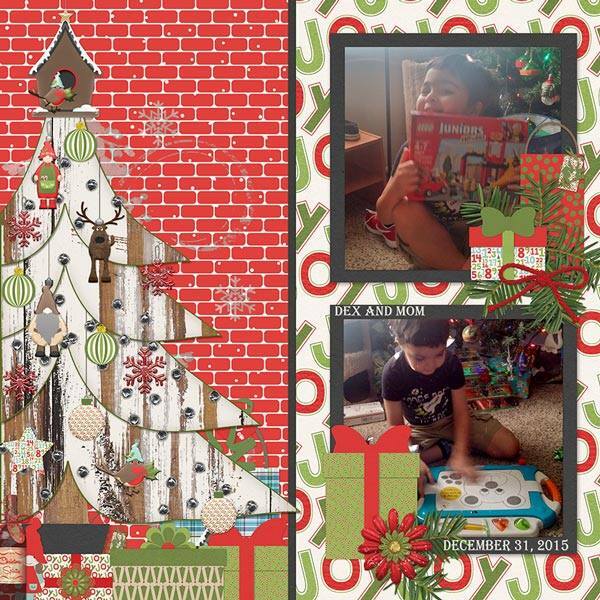 The first one was absolutely perfect for scrapbooking a long series of shots my hubs took of our family playing a game at Christmas. I cropped in the best part of the pics to high light this really fun time. Keep scrolling to see more inspiration with these templates. These aren't even all of the pages from the team. You can find more pretty pages in our gallery on Etsy as well as Pinterest under Kreative Design Studio. 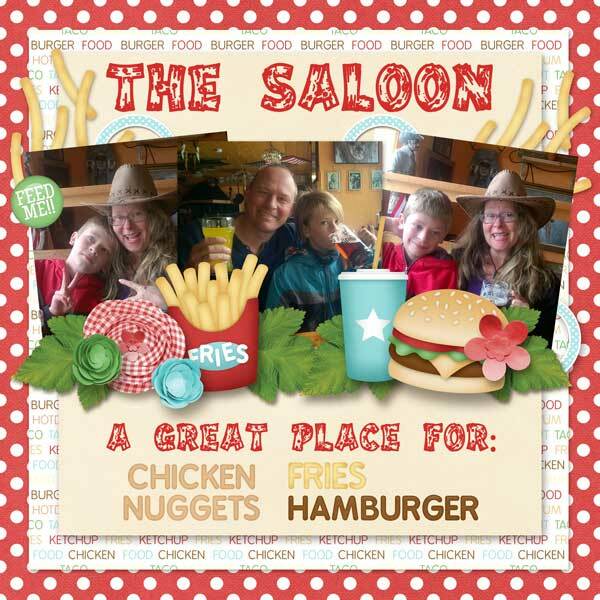 Laureen designed this stunning page! Dana scrapped a lovely page with super great pictures. Isn't it awesome how she used the stamp behind the tree? What a great idea! 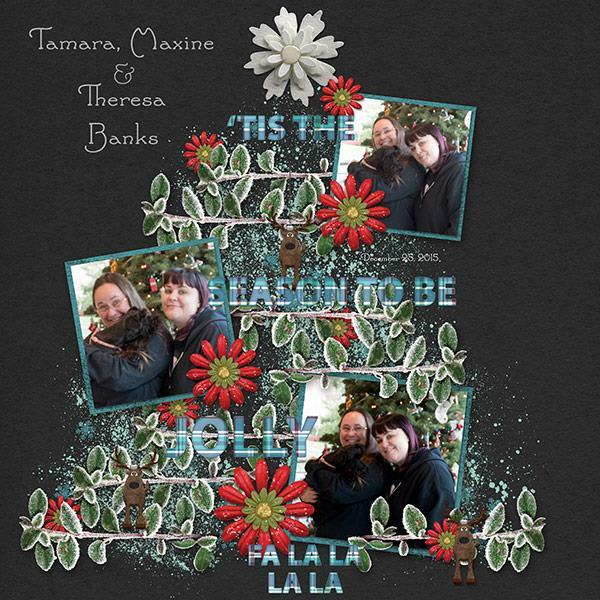 Theresa scrapped up this fabulously easy, versatile template from the pack and look at her tree. 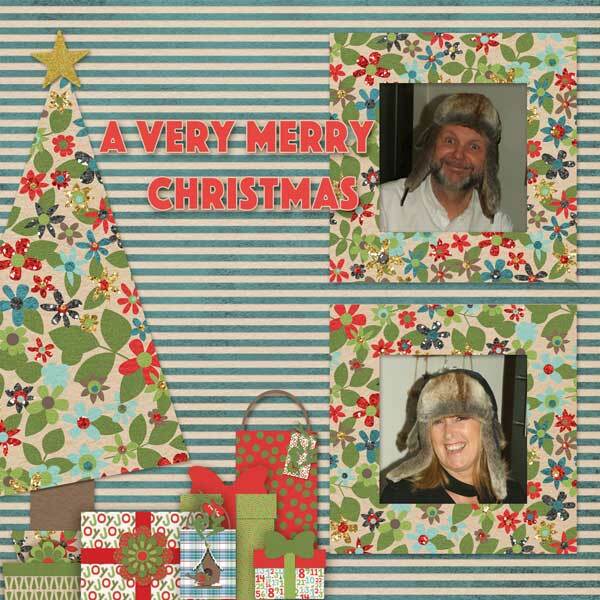 It's decorated so marvellously. I can tell you she already has her tree at home, set up and it is stunning! Theresa also scrapped up this page with the sweetest pics. Look how she placed the flowers on this one. The dark background was definitely a great touch. Michal scrapped another super page. Clean and simple pages are awesome! 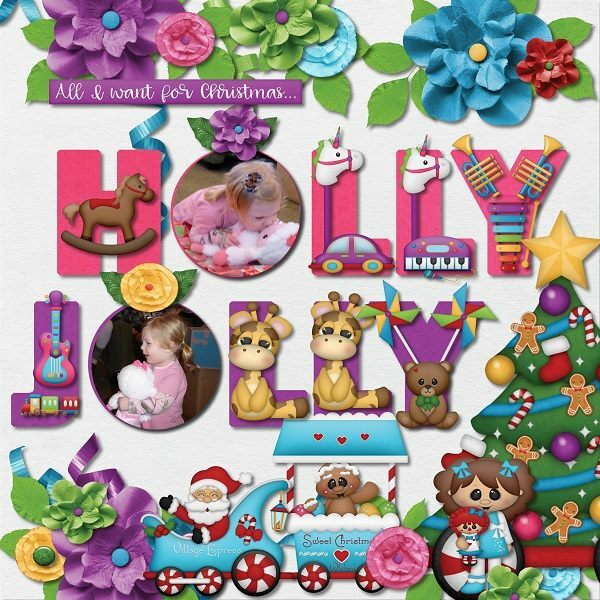 My gal Rachelle scrapped an absolutely beautiful double pager with our new templates and last years Christmas collection, Sleigh Bells Ring. It's another large collection you can find in our shop and you can use the coupon for it as well. There are also several packs. Read the descriptions carefully so you get what you want. This one, right here! Love it so much. It's exactly how I saw this template laid out. Perfection! Here's the page I was telling you about. This game was so much fun. I'll be having a similar one this year for our Ugly Sweater party. Look out for ideas and cool stuff for that! Don't be afraid to use some of the elements from templates for your pages. 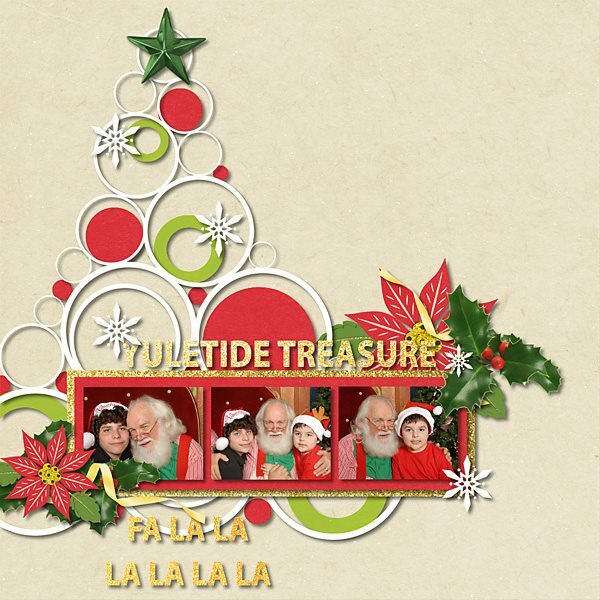 Many of the elements I design for templates took time to craft and make excellent embellishments. That is a lot of new products and inspiration with them. I hope you pop over to our shop and take advantage of the three day coupon we have for fans. I'll show off a bit more pages I designed with other designers around DigiLand and get you that freebie. Tomorrow, I'll have more pages and a fun mini, hybrid gift idea for you. 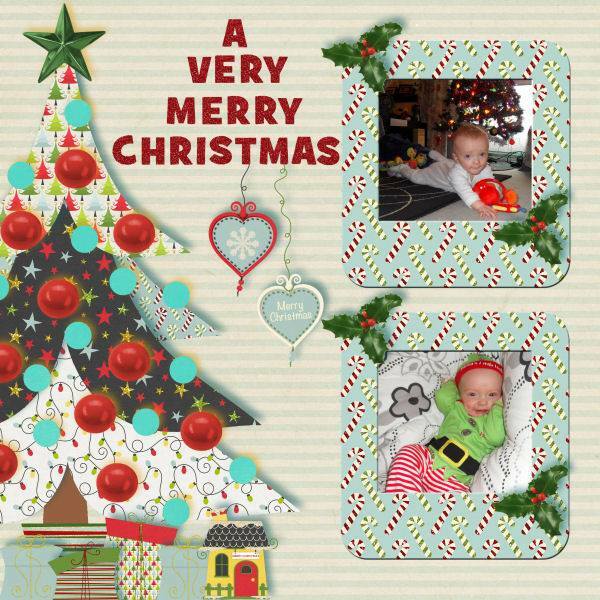 This page is a free template I got from Mommyish's newsletter and a gorgeous winter kit from Throwing Some Scraps Around. 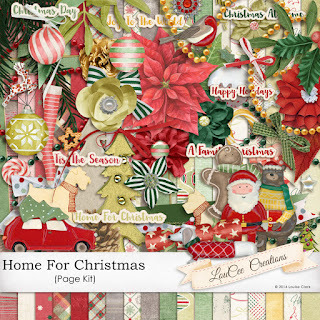 Aimee Harrison has several collections ready for this time of year and a lot more on the way. I paired this one up with our Got Your Back templates. You can also buy them with your coupon. There is still so much more to show you, but I'll save it for tomorrow! This weekend is just crazy with mega deals around DigiLand and in general. I've got a lot more layouts from other designers and will share some more special coupon codes, too. I cannot guarantee that there won't be new freebies either. Hehehe...You'll have to come back to see what they are! 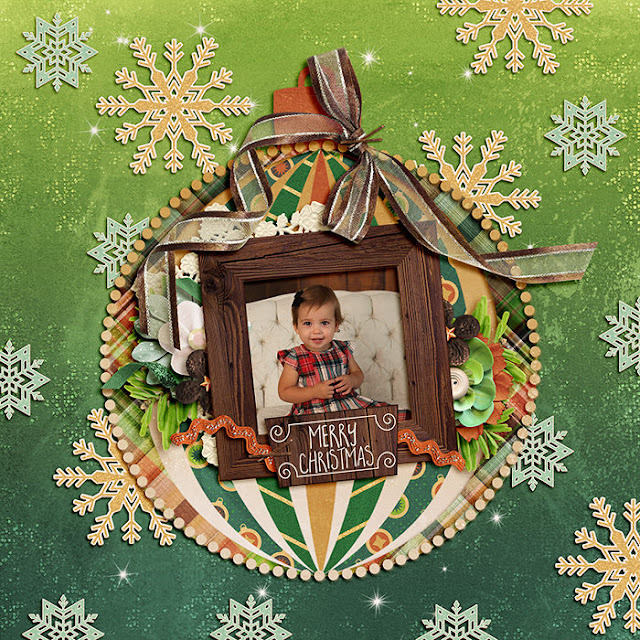 MagsGraphics has this wonderful kit for FREE over at MyMemories. Grab it for free while you can. You are such a star for getting through the blog. I hope it was enjoyable. We'll see you at the shop and right back here tomorrow. What Else Can Ya Do With Project Life Cards?